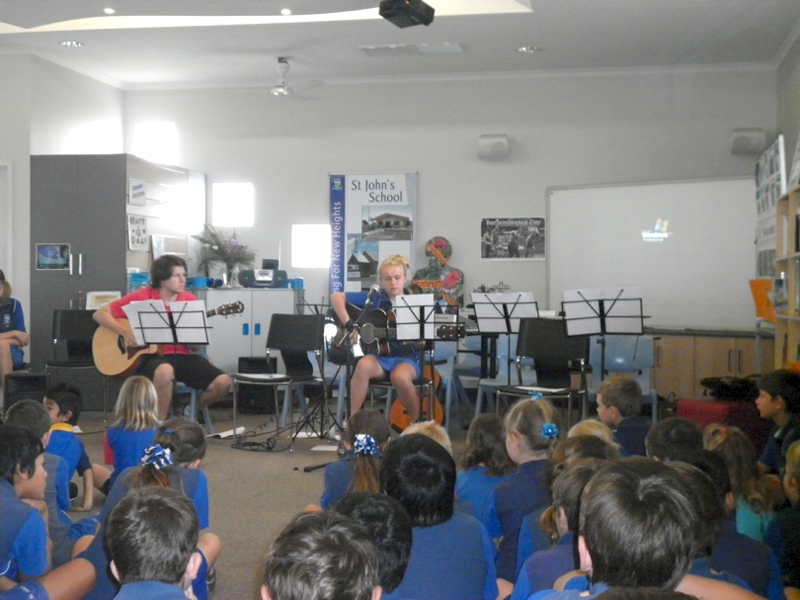 The school gathers each Friday at 8:50am in the School Library for assembly. The assembly is run by the school leaders. Parent are welcome to attend. Each week we pray our school prayer, honour our flag, sing the national anthem, present student awards, acknowledge birthdays and pass on important notices. Once a term, each class will present a class item and other weeks, each class will recount what has been happening in their class by reading their ‘News Books’. 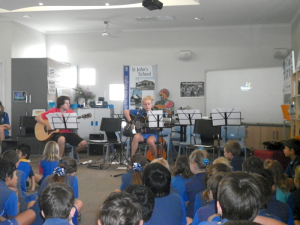 Once a term, music tuition students perform at a combined Kindy/School Assembly.